Wednesday, March 25 at 6:30 p.m.
Kawaii lovers of the New York area, mark your calendars! 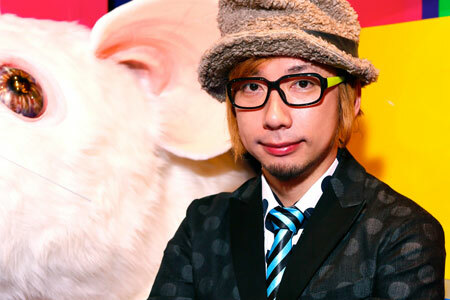 Sebastian Masuda, a visual artist known as the pioneer of Harajuku kawaii culture, will speak at Japan Society March 26 at 6:30 p.m. Masuda’s work is known for his use of vibrant color and collage of childhood nostalgia. Perhaps you know about Sebastian Masuda from the iconic video he created for Kyary Pamyu Pamyu’s PONPONPON. Maybe you had a chance to check out his exhibit, Colorful Rebellion – Seventh Nightmare, when he made his New York art debut last year. Or maybe you know him as the founder of the brand 6%DOKIDOKI and shop in Harajuku. Regardless, it will be a colorful evening at Japan Society as Masuda talks about his upcoming New York project, Time After Time, as well as how his work has helped spread Kawai Culture worldwide. Dress in your kawaii finest and be sure to bring cash because after the lecture items from his 6%DOKIDOKI shop will be sold! It is a rare opportunity to snap up the coveted Harajuku accessories here in NYC.